I’ve tackled spinach for my salads, but when it comes to greens I generally have to take them either juiced, smoothied, or in some other indistinguishable form. I blame my grandmother who had a penchant for cooking spinach until it was goop—bleck! 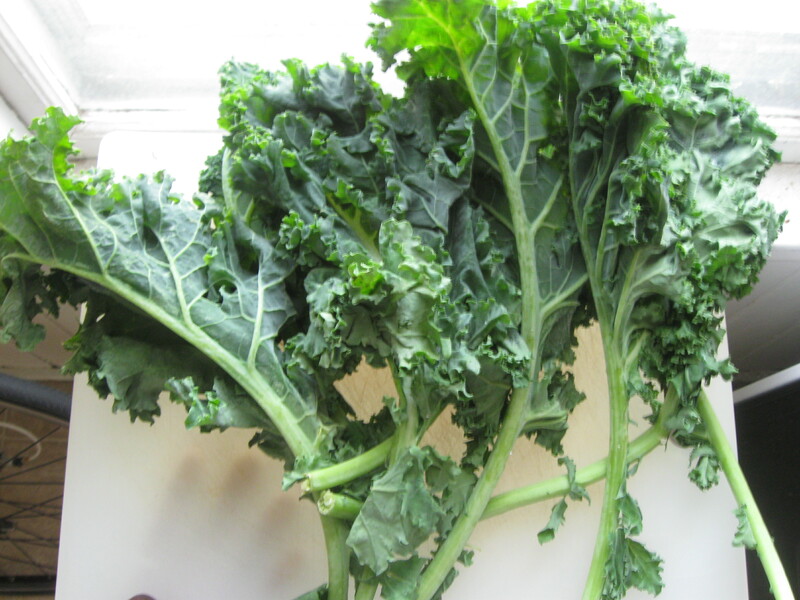 Plus, buying kale in stores can be overwhelming , because it comes in a pretty big bunch. I knew I wouldn’t get through all of it juicing, so I pulled up my healthy girl skivvies and branched out. When it comes to most foods, the darker it is the more nutritious. 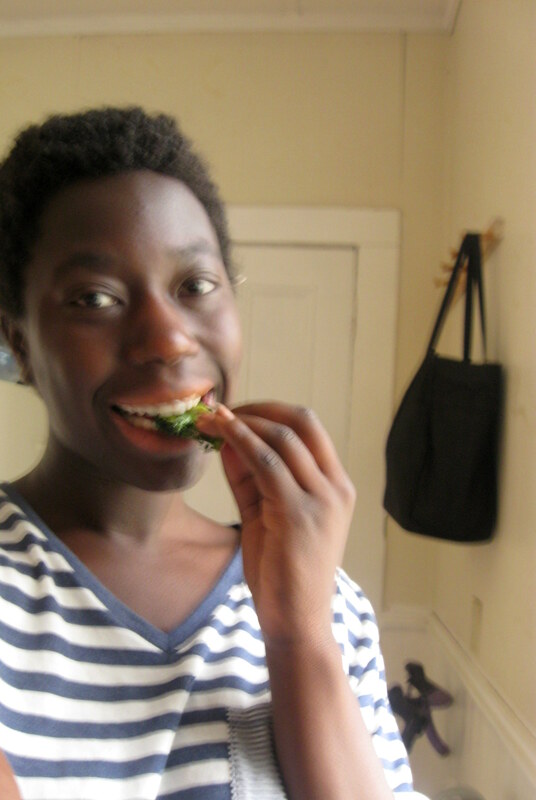 Kale is one of those super greens that intimidates me, but I think after nearly a year and half of eating well, I might as well start forming a friendship with it. 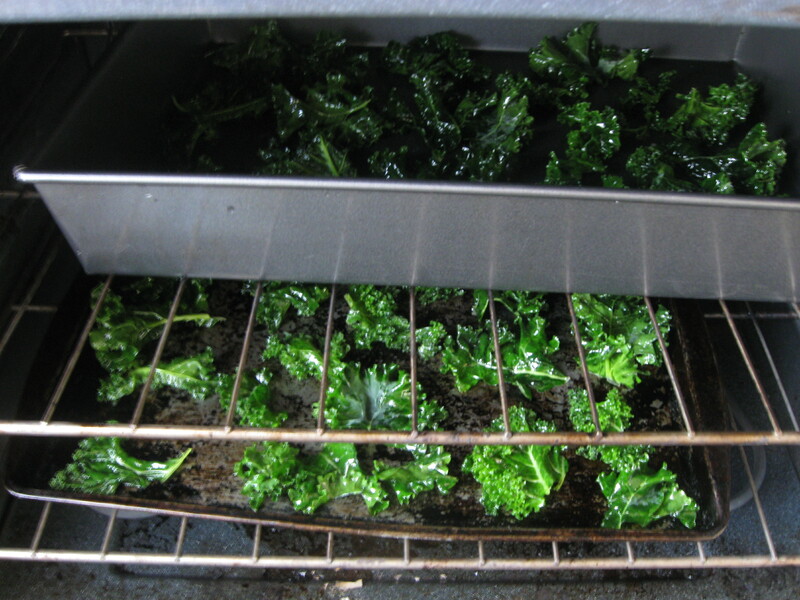 To make kale exciting I needed to keep the cooked version out of sight and mind and be inspired by, dare I say, junk food. 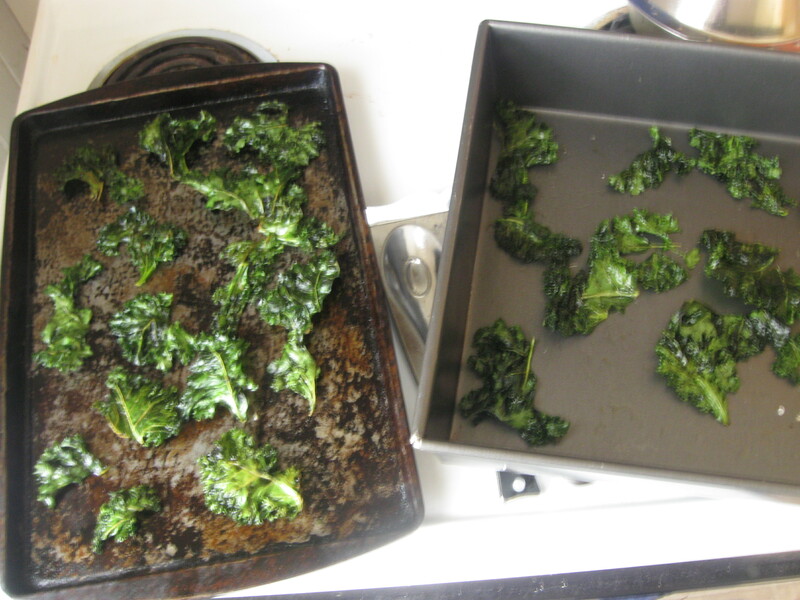 I’m not lying; kale chips are a-flippin-mazing! I’d seen them before in the co-op, but had written them off as a hippy-dippy counterpart that would never live up to the full amazingness of Ruffles or Cape Cod chips, like how the Newman’s version of peanut butter cups are inferior to Reese’s. I was feeling bored in the morning, so I said “why not? !” I followed this easy recipe and 30 minutes later I was delighted by how crunchy, salty, though still pretty healthy these little green chips were. They are also super filling in a way potato chips are not. Note: prep time is much faster than 25 minutes! It is a bit of a mind game at the beginning. Green is not a color you’re used to seeing as a chip, so you kind of have to go “it’s just a potato chip, it’s just a potato chip.” Since I used ½ the bunch of kale, these only cost $1.50 to make and I got to choose how much salt I wanted, and I really did go on the light side! Needless to say, they didn’t survive the afternoon between me and Chris. 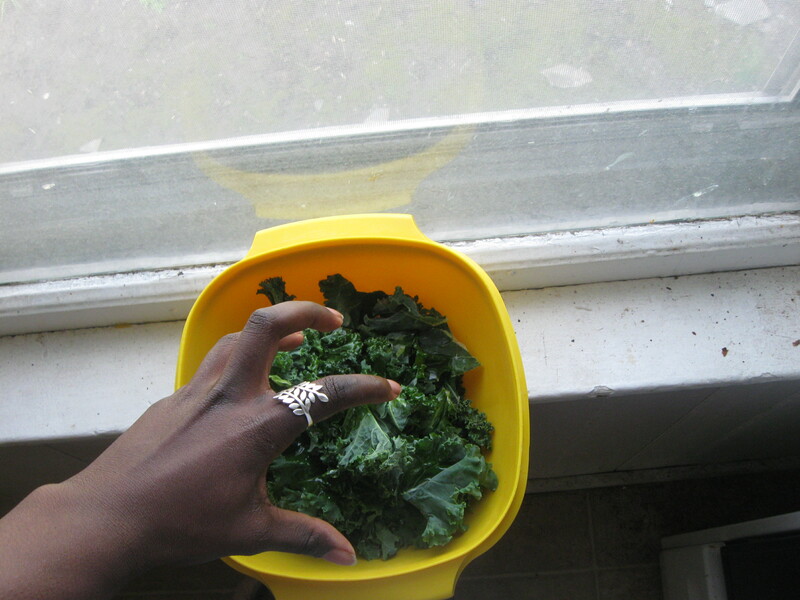 Massaging the olive oil covered kale was a lot of fun!